In this day and age, facts seem to be equally relevant and irrelevant, depending on your view of the so-called post-factual society. In this article, I look closer at facts by using the philosophy of Ludwig Wittgenstein, supplemented by J.L. Austin and others. 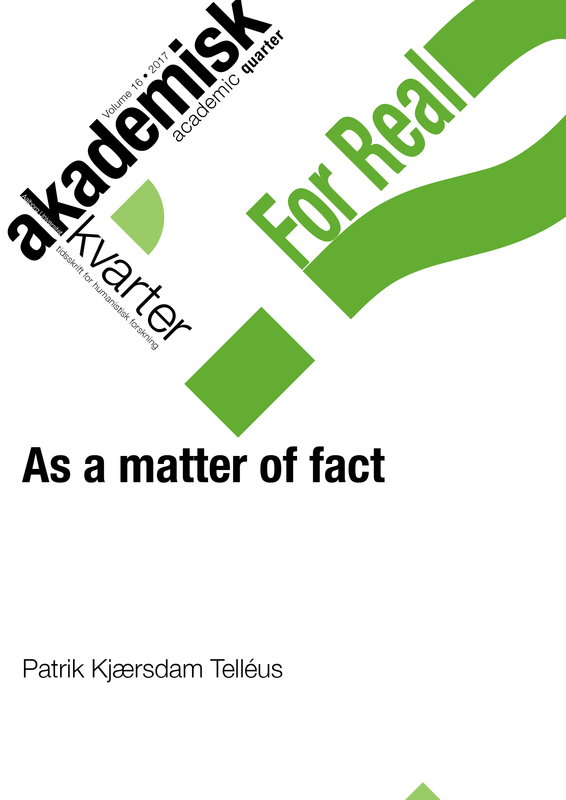 I analyze facts in terms of a) true and real, b) a propositional trait and a narrative trait, and c) independent and dependent on the knower/teller of facts. The analysis forces facts to be viewed not as definition in themselves but as appearing under particular circumstances. These circumstances are characterized by being induced by a profound form of skepticism and calling for objective certainty, a term I borrow from Gunnar Svensson.